When you stand before a Monet painting of water lilies, you might choose to analyze it according to its physical dimensions, the composition and pigment of the paint, the particular arrangement of highlight and shadow, and how close Monet came to a realistic depiction of actual water lilies. At the conclusion of your analysis you would have a catalog of observable facts, to which you could also add more factual details such as the time period, historical circumstances, events from Monet’s personal life and his development as a painter. This mode of analysis employs the power of observation in order to explain what you are looking at. But you might choose to contemplate the painting instead of analyzing it. In that case you wouldn’t be observing from an objective distance and reducing it to a catalog of facts, but rather encountering it as an artistic creation. His rendering of water lilies is not asking to be explained or compared with actual water lilies. The intention of art is not to explain (literally to spread out on a flat surface for examination) but to reveal (to pull back a veil and allow something to be seen). Your contemplation of Monet’s painting represents a very different mode of perception from that of analysis, inviting a kind of dialogue between you and the artist. A painting, like everything else made by the creative skill of human beings and not found in nature, is what we call an artifact. In evolutionary history, the threshold between animal nature and human culture is defined by the artifacts that our species created, as together they constructed a peculiarly human world – the network of tools, utilities, technologies, symbols, values, agreements, and beliefs that carry the meaning of life for us. As one kind of artifact, a machine is the product of an engineering and technical intelligence. Monet’s painting of water lilies, on the other hand, is an expression of an intuitive and aesthetic intelligence. Such distinct types of intelligence co-evolving in human beings are what make us a wonderfully visionary, prolific, and complicated species. The question of whether a given artifact is more art or fact is an interesting one, with far-reaching implications. When you analyze Monet’s water lilies into a catalog of physical and historical details, you are treating it as a fact – something to look at, to observe, and ultimately to explain. Once explained, the object is said to be ‘known’. Each color pigment has a chromatic number value. Each shape has proximal value with respect to real objects. The painting traces along a line of causality back to Monet himself, as the man who made it at a specific time in history. Your thorough explanation effectively reduces the painting to an object before you. In the second mode, of contemplation, you instead encounter the artifact as more art than fact. As art, Monet’s painting cannot be decomposed into its basic and essentially separate elements. Indeed, its artistic virtue as a medium of revelation (as a veil parting) requires that you behold the painting as a whole. Only then is it possible – and we can only hope for the possibility since it is nothing you can control or make happen – for the work of art to show you what cannot be observed. To behold is an exquisitely receptive (as distinct from merely passive) act of contemplation. With patient and mindful attention, you may eventually come to see not what Monet saw but as he saw, ushered into his experience of water lilies. 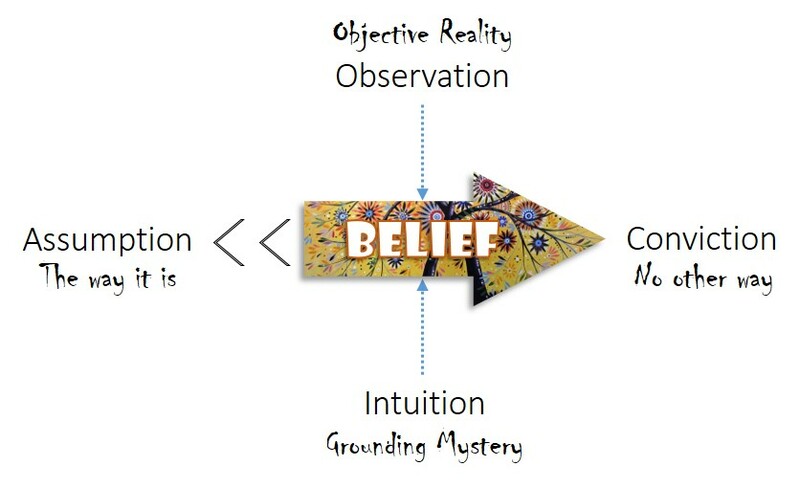 We can easily summarize these two modes of perception as the difference between looking at (observation, analysis, explanation) and looking through (encounter, contemplation, revelation). It is the difference between treating an artifact as an opaque fact or as translucent art. In the first case, Monet’s painting is a rather inaccurate and unrealistic depiction of water lilies. 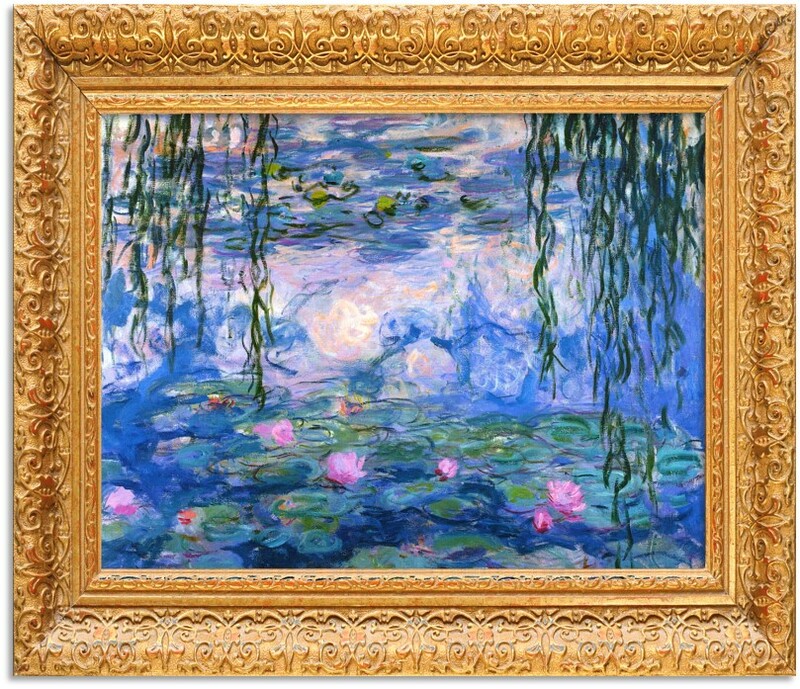 In the second, it represents (i.e., makes present again) something that is not a thing: Monet’s experience of the present mystery of reality manifested in water lilies. Now, you may lack even an inkling of art appreciation. To you it’s just a picture, and not a very impressive attempt by someone who fashioned himself a painter. He could better have painted houses or fences, for at least that would have contributed something useful to society. With today’s advances in photography, we shouldn’t have to settle for illustrations that are barely recognizable and basically worthless as depictions of actual facts. There is a similar widespread inability, especially among those living in the light (or under the shadow) of modern science, for appreciating story as art – particularly the sacred stories of culture and religion known as myths. Stories, too, are artifacts, which means that we can choose how we engage them, as art or as fact. Despite the difference in their media, a story is very similar to a painting in that both depict images for us to hold in mind. Originally and for many millenniums, human cultures composed myths that were intended for the modes of encounter, contemplation, and revelation. It would have made no sense whatsoever for a creation myth, for example, to be analyzed into its narrative elements or taken as an explanation of observable facts. As art, the myth was not regarded as an eye-witness report of long-ago events in the history of the cosmos. Rather it was recited in sacred settings of ritual performance (not locked inside printed books) and the storyteller would usher his or her community into an experience of an awesome yet provident universe, the cradle and household of all living things. 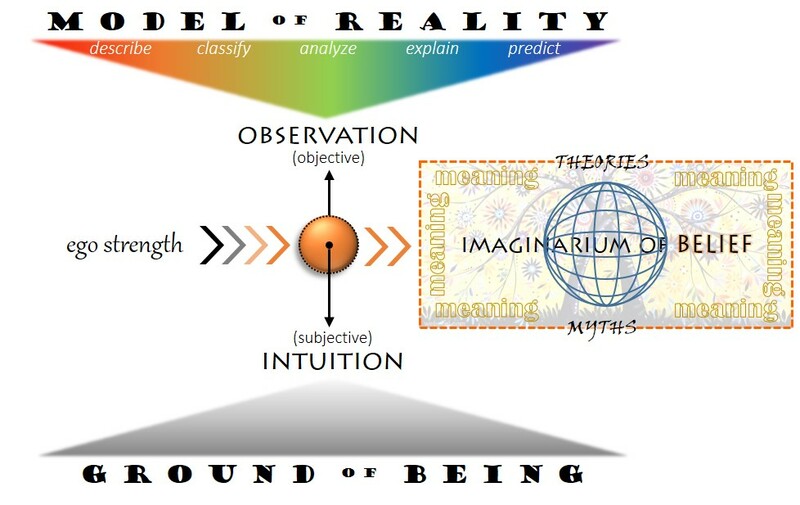 With the rise of science, artistic insight into the present mystery of reality was gradually eclipsed by factual observations, empirical analysis, and rational explanations. This new mode of engaging with reality certainly marked a great advance in the human journey, but our fascination with knowledge and control came at a cost. In his landmark meditation I and Thou, the Jewish philosopher Martin Buber distinguished between two modes of consciousness, one ancient and the other more modern. He named these I-Thou and I-It, where the second term in each pair identifies the nature of what the I (ego) perceives and relates to. I-Thou lines up with the artifact as art, even regarding the whole of reality as opening in dialogue with our contemplative mind. Buber wasn’t suggesting that a personal god is on the other end of the line, but rather that the human being stands in a reciprocal relationship with reality. Our own personalities are not an alien feature of the universe but expressions of it. As we gaze upon the stars, we are contemplating our own nature. 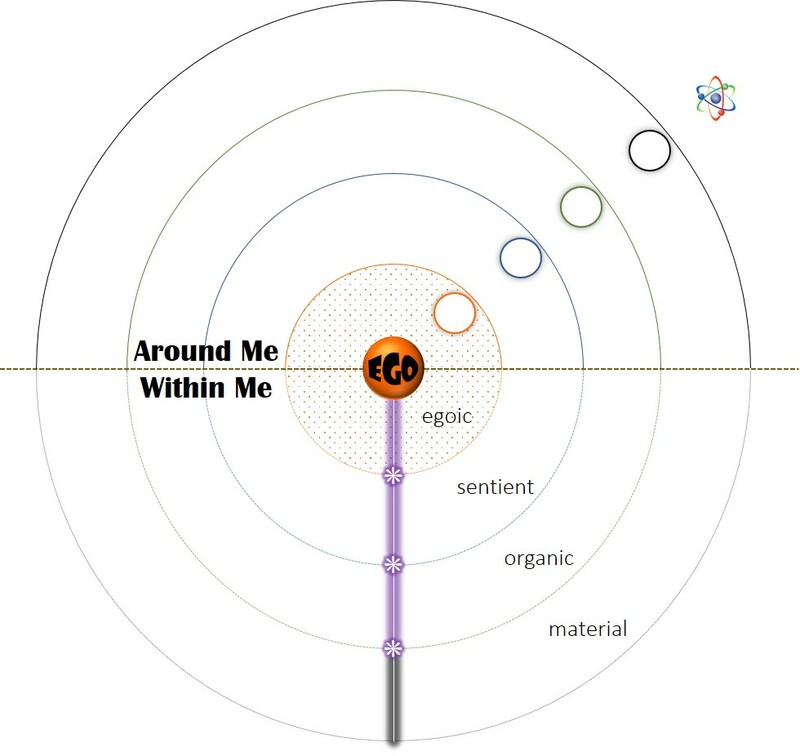 I-It is where reality outside the ego is not only depersonalized and pushed into the distance, but personality itself is reduced – to social conditioning, biological temperament, genes and chromosomes. This is the artifact as fact, and all of reality as nothing more than a great constellation of observable and theoretical facts. It is Monet’s painting of water lilies as so much paint and poor realism, the myths of religion as either supernatural journalism (e.g., the literal Bible) or primitive superstition. Unfortunately the I-It mentality has affected both science and religion today. Wholeness, dialogue, contemplation, insight, mystery, and revelation are dropping away or getting disqualified as legitimate interests. For many, science studies this world as religion prepares us for the next. For a growing number of others, science has the answers we seek for the progress we need, while religion peddles deception, sanctifies ignorance, and ordains terrorism. And in the meantime both enterprises are in danger of losing their souls.